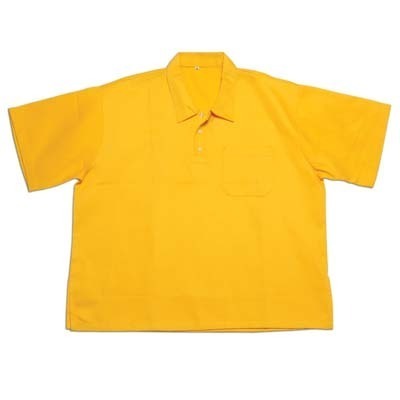 We are offering a collection of Collar T-Shirt that is in line with set quality standards. Our vendors make the range by using high grad fabric. The range is a long coat collection that comes with hood and made available in S, M, L and XL. Annual Turnover2011-12 Rs. 50-100 Crore Approx. Rama Overseas Ltd. incorporated in the year 1975 and establish in the year 1986, an ISO 9001:2008 certified firm is a manufacturer, supplier and exporter of a comprehensive and qualitative range of Work Wear and Industrial Glove. Our range consists of Driving Glove, Leather Palm Glove, Welder Glove, Cold Protection Glove, Welder Apparel, Trouser, Jacket, Men Overall and many others. Products offered by us are manufactured using quality tested material. Further, our experienced production personnel design complete range keeping the specific requirements of clients in mind, in order to make them immensely satisfied. As a result, we are been able to deliver our range in the global market. Quality has always remained our top priority and we ensure that products delivered from our end do not carry flaws. Certified material is used in production along with the advanced techniques, in order to make our range perfect. We always endeavor to improvise our product range and techniques used in production, in order to withstand the customer’s expectations. Customer-oriented approach is the key which has enabled us to gain the trust of huge clientele. Easy payment options are offered along with the customization facility, keeping the welfare of customer’s in mind. We have mustered a huge client base across the markets of Indian Subcontinent, East Europe, East Asia, Central America, North Europe, Middle East, South America, South/West Europe, South East Asia and North America.